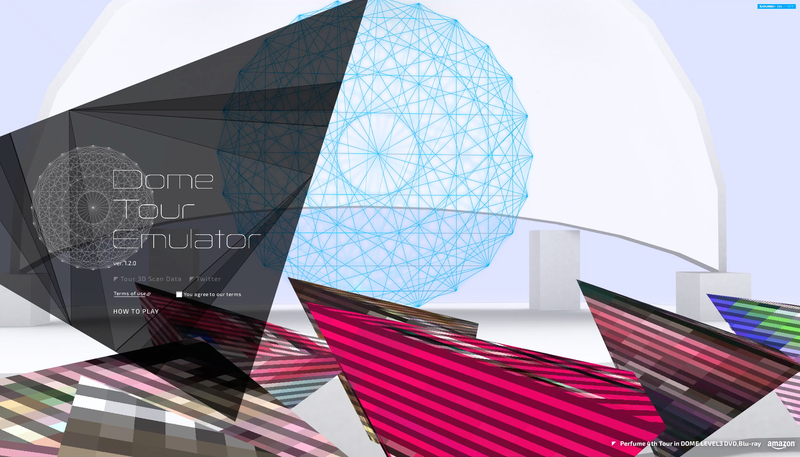 An interactive website allowing users to experience the “Sleeping Beauty” system. After having their bodies scanned in a 3D scanner installed at a performance venue, users could visit the website to view their data. 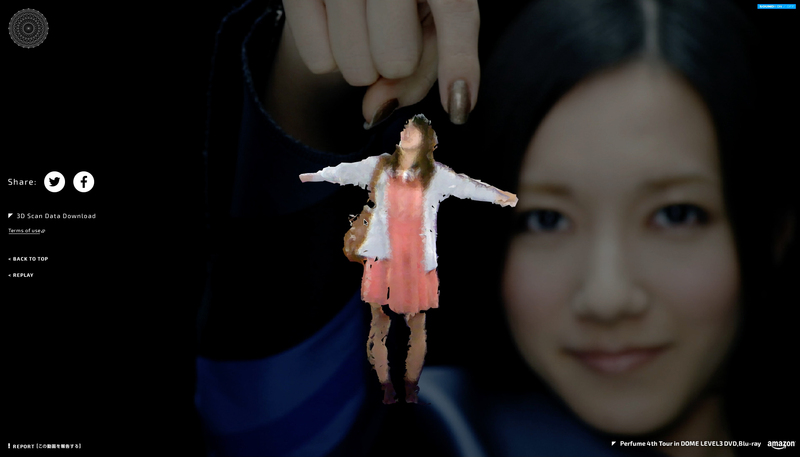 A member of Perfume would then seemingly pluck the user’s 3D data out of the audience, recreating the live performance experience.